Facial acne is a very common, frustrating condition that occurs in men and women of all ages. The degree of acne can range in severity from an occasional flair-up, red,tender pimples, whiteheads, facial blackheads to more serious cyst forms that require a physician’ guidance. Acne problems primarily affect teenagers undergoing hormonal changes but it can continue into adulthood. It can disrupt on any part of the body although it typically affects your face, neck, shoulders, chest and back. Many acne sufferers know the struggle it can be to find effective methods to control acne but left untreated, it can lead to painful infections and all sorts of pigmentation and scar problems. Inflammation occurs when pores become clogged with trapped oil causing an imbalance and bacteria to grow, triggering inflammation. A good acne skin care regime with the best acne products, keep pores free from oil and dead cell buildup and help maintain skin health. The vast majority of acne breakouts can be controlled with a few simple treatments for oily skin or successfully treated with prescription or over-the-counter medications. All acne types are not responsive to the same products or methods. A acne product that works for one may not work for another and may often times lead to frustration and it can become quite a challenge to continue testing products. Because the symptoms vary widely with an individual it’s important to be certain what type or degree you may have and take control early on and stay on it till you get it right! The treatments can be as simple as controlling this condition with acne face creams. Home remedy acne treatments applied regularly that contain glycolic, salicylic acid, sulfur or benzoyl peroxide, are all effective for treating mild acne. In more severe cases, more advanced treatments of acne medication, and laser treatments are available. Rosacea can look strikingly similar to common acne. Some "like" symptoms may even be confused with a rosacea skin condition. Antiaging cosmetic procedures such as home skin rolling (Derma Roller) treatments, chemical peels, and dermabrasion treatments can also be effective for more resistant acne or for an acne scar treatment that may have left pitted damage or scar tissue. Clean it Out, Clear it Up, You're in Control! Having an acne condition is one of the most common skin care problems that causes distress, beauty issues, makes you feel embarrassed, and lowers your self confidence. It can cause serious depression problems affecting normal day-to-day activities or it may at some point,take over your life and prevent people from socializing and being able to enjoy life. Treatment goals aim to control existing and new acne from forming, prevent acne scars and also limit psychological stress that it can cause. Now with the availability of improved acne facial treatments for oily acne prone skin, you can control it. Acne cleansers – Facial care starts with a cleanser and lots of dedication. A twice daily consistent routine treatment with a mild face wash will help keep facial pores clean and clear of extra oil production and help prevent a bacterial infection. Gently massage your face with your fingertips, avoiding the tendency to scrub. *Exfoliate - A gentle exfoliating once or twice a week may be included in your regimen. Gel scrubs or cleansers that are of a grainier consistency will help fight acne and remove deep down dirt and old cells. A gentle home microdermabrasion kit may also be helpful. *Facial clay masks used once a month also helps draw out sebum by the clays highly absorbent qualities. Facial toner – Toners help remove final traces of cleanser residue and leftover makeup. They help prevent pore clogging, bacteria growth, and re-balance the skin to the proper PH level. Facial toning leaves your complexion clean, shine-free, refreshed and prepares the skin for the application of other products. You are now ready to continue with your customized treatment for acne, topical or oral acne medications. Face Moisturizers –A good oil-free moisturizer helps to maintain water moisture and balance in skin. Apply a light amount to your face, neck and décolleté. This will also provide protection against any harmful pollutants and free radical damage. Sunscreen/ sunblock –Last, but important Every Day - Constant exposure to the sun can cause severe damage to the face and aggravate or delay the healing of your acne. Use a sunscreen product that is non-comedogenic,(non-oily), which means it does not clog pores. Avoid the temptation to pick or squeeze the blemishes. The risk of the infection spreading to other areas is likely and it may leave more damage such as dark blotches, scars and pitted skin. 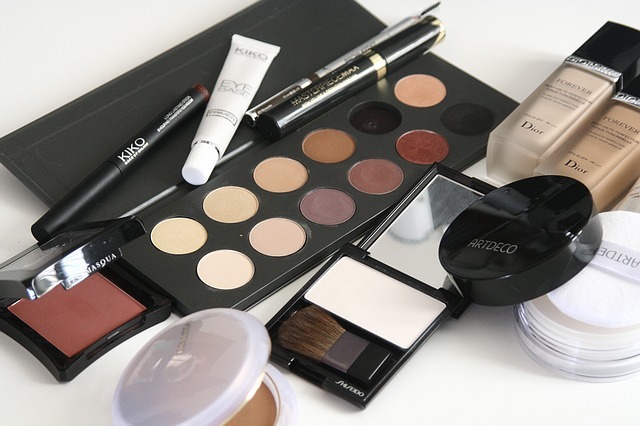 Makeup -It is recommended you choose a face makeup that is oil free and non-comedogenic. Choose special makeup for oily skin types. Noncomedogenic, oil free products will help prevent clogging pores, and it is less likely to contribute to bad skin reactions. There are cosmetic product foundation cover-ups that include acne medication. Men Shaving Tips - Exposed acne and razor bumps can be tricky.Try not to nick the acne pimples.Taking a more careful approach to shaving will help avoid problems. Softening the area with a quality shaving cream will allow the razor to glide freely and gently over the surface to help prevent nicks and cuts. A good alternative for wet shaving for men(especially for difficult times) - it may be helpful to invest in a good electric razor. * Facial acne beauty tip - Because of its anti-bacterial properties tea tree oil is used for acne control. This powerful remedy can help reduce acne breakouts and is a great spot blemish fighter. It can be applied as a single drop to each pimple at night with a Q-tip. Good skin care for oily skin requires constant supervision of a dedicated treatment program using the best acne products and tons of patience! Problematic skin also requires a careful diet check. You need to be conscious about your food intake- foods that aggravate the condition and trigger inflammation and vitamin rich foods that benefit. Acne and diet - Certain foods may play a significant role in how they affect an acne condition. A food allergy can also be partly to blame and aggravate the situation. Eliminate certain foods -Keep track of problem trigger foods - stop the intake of questionable foods believed-to-be acne causing foods. Follow a disciplined and regulated diet for acne to encourage overall health. Eat all-natural and unprocessed foods, lots of fresh vegetables, antioxidant fruits, healthy fats, and superfoods. Avoid refined sugars, chocolate, caffeine, alcohol, dairy products, fried and greasy food, high salt products, peanut products, and high carbohydrate foods that generally trigger acne flareups. Drink plenty of water, (Water keeps the body clean, flush toxins, and purifies the system) green tea, and juices. 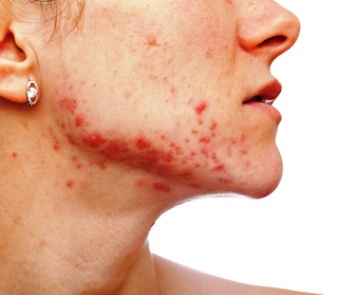 Find treatments for Acne acne treatments at Bizrate!